Now for most, an outdoor cinema in December sounds like such a crazy idea that it has you reaching for an extra blanket and a warm hot chocolate just at the thought of the cold. However, all is not as it seems! The floating cinema at St Katharine’s Docks in London does not underestimate the city’s icy cold winters and that’s why it provides blankets, hot water bottles and an endless supply of mulled wine or hot chocolate! Pick from your favourite Christmas classics including Elf, The Holiday and Love Actually and better still, you’ll be floating and snuggled into a 2-seater bean bag – Christmas to remember? I think so! 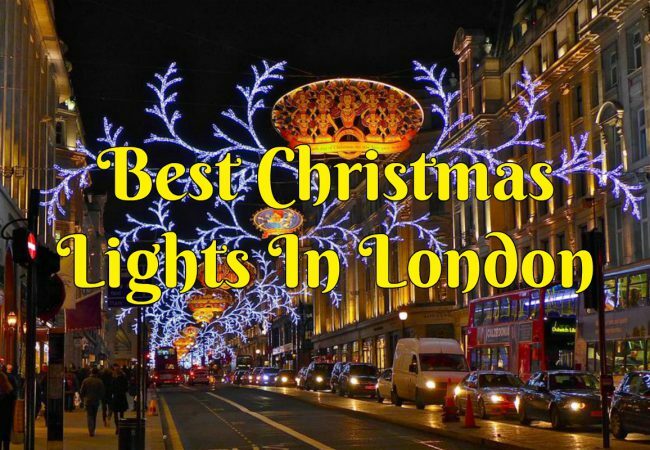 There’s nothing more beautiful than the sight of London lit up against the backdrop of the night sky and that’s why this Christmas Lights Bike Tour is just the ticket. 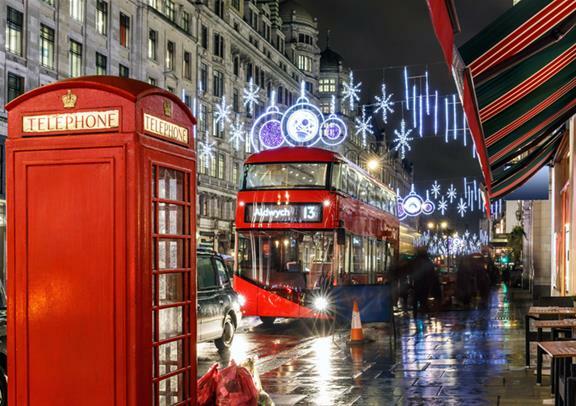 Taking you through all of London’s most illuminated areas, you’ll get to see Oxford Street, Southbank, Parliament Square and you’ll pass some of the city’s most iconic landmarks. Led by an expert guide throughout, you won’t have to worry about cycling in the darkness of London. Plus you’ll be fully equipped with all of the necessary safety equipment so all you’ll have to think about is the festive cheer! If you want a traditional Christmas experience, head to Wembley arena on the 16th December for the Hillsong London show. 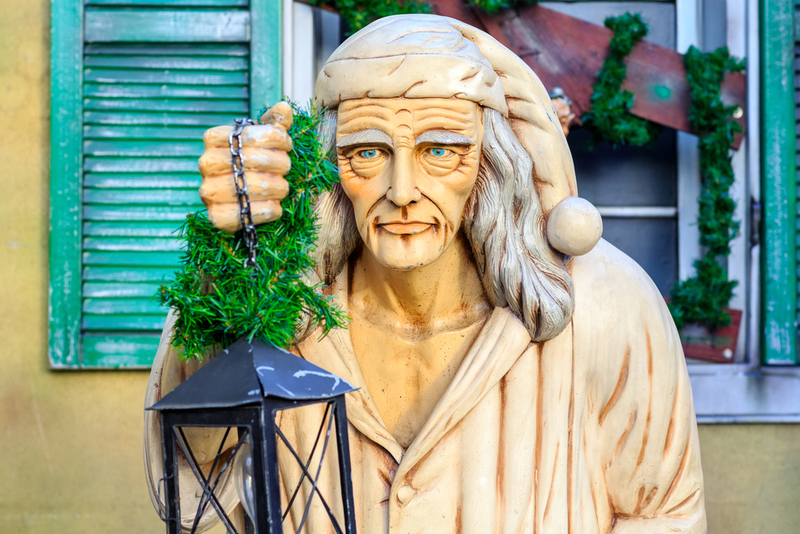 Bursting at the seams with Christmas carols sure to get you testing your vocal chords, this festive extravaganza is feel-good fun for the whole family. Grab some brunch in the surrounding restaurants before heading to your seat (try to get as close to the front as possible!) and celebrate the traditions of Christmas in unforgettable style! Whilst we’re on the traditions of Christmas, I can’t forget to mention the Charles Dickens classic – a Christmas Carol. This winter phenomenon has proven popular year after year which can only mean one thing – we love to be spooked out. Who would have thought that being visited by ghosts and finding out how awful your life is going to be would be so festive! 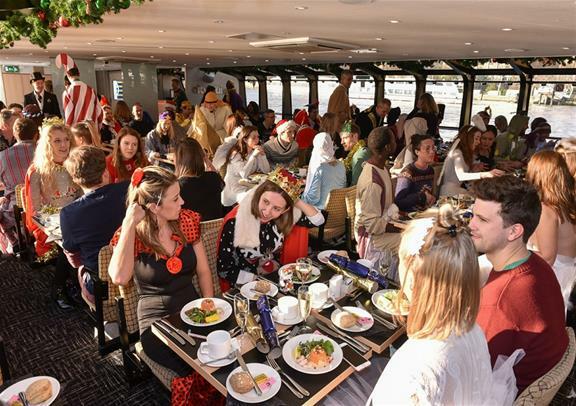 If you want something a little different this year then head to the River Thames for a Christmas Lunch Cruise. You’ll get in the party spirit as soon as you step onboard with Christmas hats, crackers and a full festive menu and tunes to set the festive feel. The highlight of this cruise is the exceptional views of London’s most iconic landmarks and locations you’ll get to enjoy throughout. Bliss! If you want to settle down to something scrumptious then a festive lunch in the capital is the perfect ticket. A personal favourite is the festive dinner at the Petersham Hotel in Richmond with its Snow and Surprises experience. With traditional turkey, crispy roast potatoes and taste-bud tingling vegetables all on the menu, it’s one Christmas stop that you definitely should be making. You must have heard the whispers about Kew Gardens at Christmas and let me tell you, they’re right! It is absolutely magical. 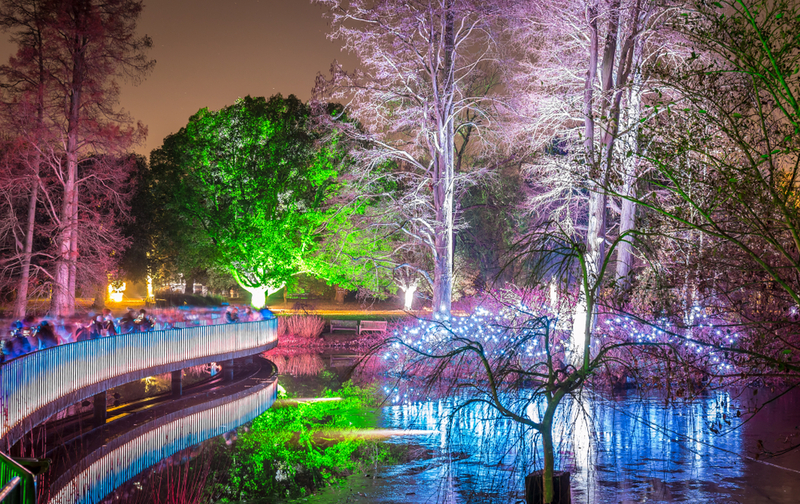 Cloaked in Christmas, Kew Gardens dazzles under thousands of bright lights and treats you with a full light display over the lake at the end. 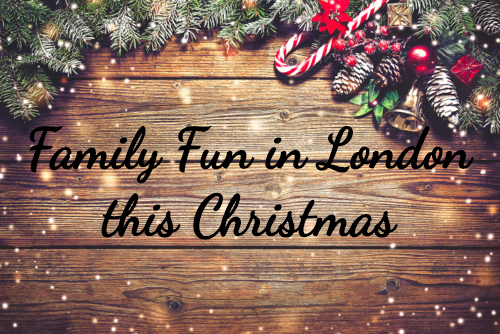 You’ll get to enjoy festive classics throughout, walk through a sparkling archway of silver lights, toast a Champagne marshmallow over an open fire, grab a mug of scrumptious hot cocoa and much more at this special Christmas experience in London. 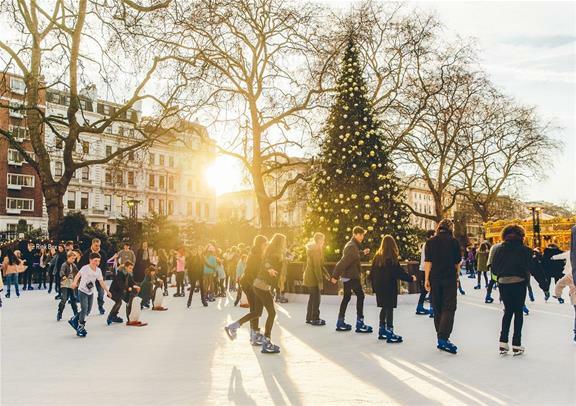 Get your skates on for a glistening ice-skating adventure in London this Christmas. Whether you want to glide across the ice at the Natural History Museum or next to the notorious Tower of London, you will be spoilt for choice with the delightful options this festive season. 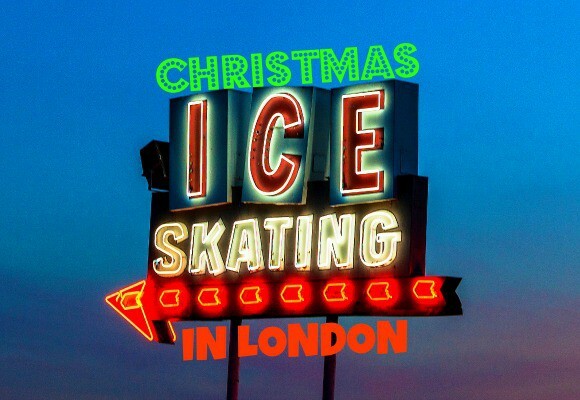 See the best ice rinks in London this Christmas here. 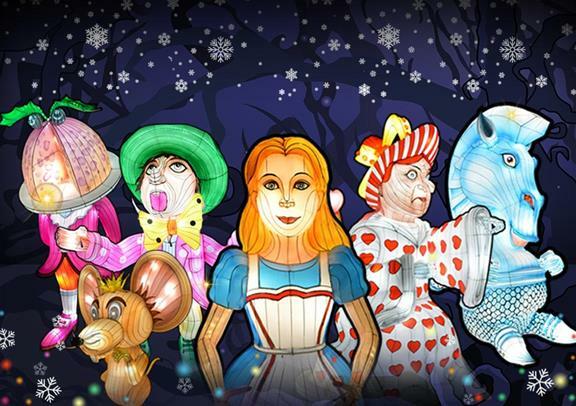 Set in the home of thousands of the world’s most fascinating animals, ZSL London Zoo is hosting a magical light festival this winter. As the animals rest their eyes to sleep, you’ll get to follow the light trail through London’s famous zoo, as you’re dazzled by thousands of sparkling festive light displays. Yes please! Whatever unforgettable things you choose to do in London this December, everyone from Golden Tours wishes you a very Merry Christmas and a happy new year! Do You Know These Facts About The Queen’s Christmas Day Speech?